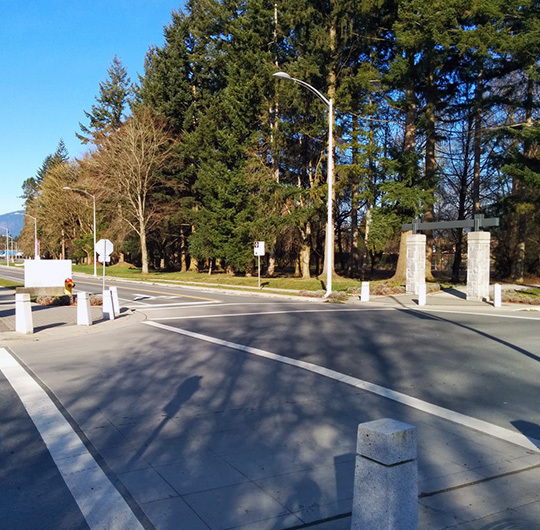 Gemco Construction has completed many public infrastructure projects across the Lower Mainland. Past projects include arterial roadways, trunk sewer mains, and site preparation and utilities for parks, transportation facilities and institutions. These projects often involve multiple stakeholders, each with their own agenda and concerns. Our team has repeated success completing the construction of these high profile contracts. Our experience in the community, concern for public safety, environmental awareness and job safety make Gemco Construction a contractor of choice for municipal work. Gemco has established a successful reputation in municipal and infrastructure works. 200 acres of campus facilities that includes underground infrastructure and road network construction. New relief sanitary sewer line and renovation of the Centennial Seawalk along the shoreline.